In the 1960s and 1970s there was a remarkable development of interest in political education not only in Britain but also in other countries, namely the USA, Germany and Australia. 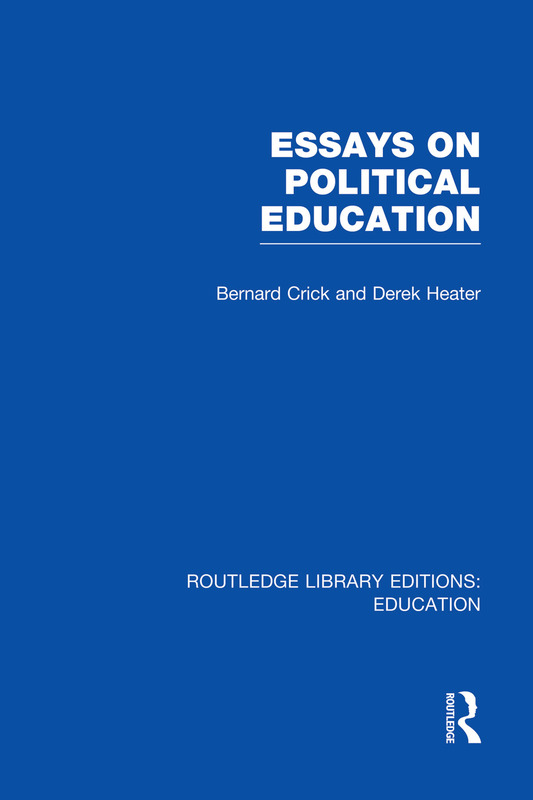 This volume provides scholars and teachers in this field with a picture of British work in the area of political education. Part 1 Challenge and Hesitation 1.1 The Introducing of Politics in Schools Bernard Crick 1.2 Political Studies in the School: Some Problems Derek Heater 1.3 Political education in Schools: The Official Attitude Derek Heater 1.4 On Bias Bernard Crick 1.5 Politics as a University Discipline and Political Education in Schools Derek Heater 1.6 A Burgeoning of Interest: Political Education in Britain Derek Heater Part 2 Theoretical Frameworks 2.1 Basic Political Concepts and Curriculum Bernard Crick 2.2 Basic Concepts for Political Education Bernard Crick 2.3 Procedural Values in Political Education Bernard Crick Part 3 Some Contexts 3.1 International Studies at School Level: The Findings of Recent British Research Derek Heater 3.2 History Teaching and Political Education Derek Heater 3.3 Chalk-Dust, Punch-Card and the Polity Bernard Crick.